**NEW VIDEO ADDED*** AS CBS4 MIAMI & DAILY NEWS CONFIRM DEATH OF NYC NU LOOK REP. JOSEPH KERNIZAN A.K.A COUNTRY AFTER CBS4 MIAMI REPORTS THAT FUGITIVE HAS KILLED HIMSELF! (SEE VIDEO)! *NEW VIDEO ADDED** AS CBS4 MIAMI & DAILY NEWS CONFIRM DEATH OF NYC NU LOOK REP. JOSEPH KERNIZAN A.K.A COUNTRY AFTER CBS4 MIAMI REPORTS THAT FUGITIVE HAS KILLED HIMSELF. (SEE VIDEO)! 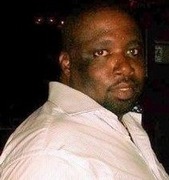 *NEW VIDEO ADDED AS CBS4 MIAMI CONFIRMS DEATH OF NU LOOK NYC REP JOSEPH KERNIZAN A.K.A COUNTRY! *DAILY NEWS CONFIRMS DEATH BY SUICIDE OF NU LOOK NYC REP. JOSEPH KERNIZAN A.K.A COUNTRY IN MIAMI! *IS THIS REPORT ABOUT NYC PROMOTER COUNTRY OR IS IT JUST A COINCIDENCE?